Precise Biometrics announced that it’s working on an Android version of its mobile fingerprint sensor that it will launch at the end of the second quarter. While Tactivo already supports iOS, Precise is expanding its reach to other operating systems so that it can cover more smart phones and tablets that its government and enterprise customers use. To help with development on the Android system, Precise partnered with Sony Mobile’s consultancy unit in Lund, Sweden. 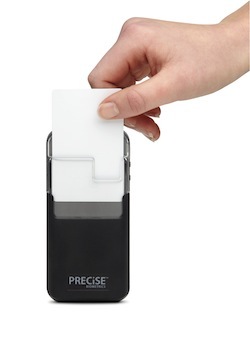 Precise says this partnership has sped up the time to market for this product. This spring Precise will release a free mobile toolkit for Android. It will also have prototypes of the Tactivo product available for selected partners in May.